Paul Schachter has been President of DELART since its inception and has over 25 years experience in the development business. Prior to DELART, Mr. Schachter was responsible for the development of food anchored shopping centres for the Loblaws supermarket chain, Canada's largest grocer. His formal education includes a degree in civil engineering from McGill University coupled with an MBA from the University of Western Ontario. DELART'S other principal partner is Harry Hart, founder and Chairman of Hart Stores Inc. and President and Chairman of Hartco Corporation, both publicly traded companies with combined annual sales in excess of $700 million. BRENTWOOD DEVELOPMENTS - EDMONTON, ALBERTA and SACRAMENTO, CALIFORNIA - Active in the development of Grocery Anchored Shopping Centres. BROOKLINE DEVELOPMENTS - MONTREAL, QUEBEC - Active in the development of strip plazas along with Grocery Anchored and Power Retail Centres. HARBOUR MORTGAGE CORP. - TORONTO, ONTARIO - Active in the private lending market on 1st and 2nd mortgages including mezzanine financings across Canada. 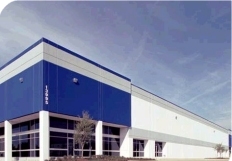 HAY & JONES - DALLAS, TEXAS - Active in the acquisition and development of flex / industrial properties in the Dallas Fort Worth (DFW) market. JENNUM DEVELOPMENT CORP. - TORONTO, ONTARIO - Focused on the acquisition and development of grocery and shadow-anchored shopping centres and retail plazas across Ontario.